Diamond Pear-Shaped Halo Engagement Ring | Shane Co.
Thirty pavé-set round diamonds, at approximately .38 carat total weight, sparkle in this classic pear-shaped halo engagement ring. Crafted of quality 14 karat yellow gold, the shimmering design measures 11.6mm wide at the center. 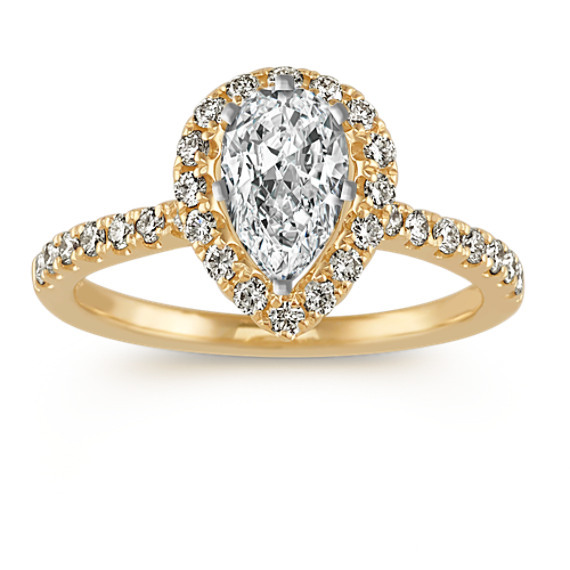 Simply choose the pear-shaped gemstone of your choice at approximately .75 carat and complete her dream ring. Gemstone Carat Weight :.38 ct. t.w.